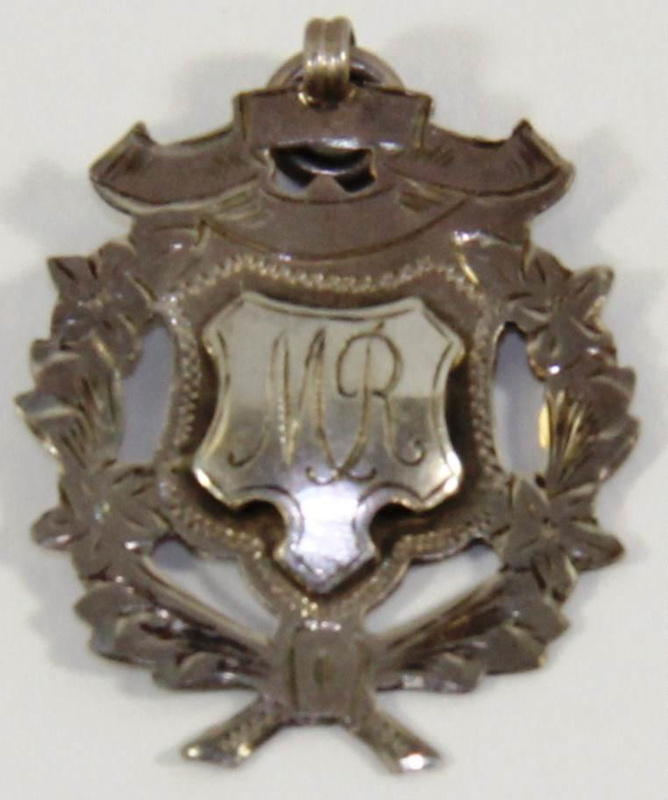 About this objectmedallion, silver, wreath around edge with scroll across top with a shield in centre with "mr" engraved. loop at top for perhaps fastening to a chain or ribbon etc. Inscription and MarksON REVERSE, "DANCING 1927"